Effetec producer of UV printer, offers you Global program - Effetec s.r.o. This program offers you the opportunity to recover value on your existing equipment with a minimum effort. If you own one or several of the products such as Manta, Manta white, Manta slim, Manta slim white, Octopus II, Gemini relevant for this program then you may Trade-In your old equipment for any of the new existing model from Effetec – http://effetec.com/en/printers/. a hobby 3D printer of your choice from the 9 types – http://eshop.effetec.com/ (http://effetec.com/en/3d-printers/) we offer and also a set of 5 Liter per color UV inks – http://effetec.com/en/uv-inks/ for your bought Effetec UV printer. Simply the best in display graphics. Most printers can only do one or two things really well, but the EffeJet does it all and more. Grab attention with high quality flatbed UV printer. No more trade-offs between image quality and speed. EffeJet imaging technology produces superb image detail, smooth color transitions and vivid, uniform solid colors for closely-viewed signage and POP materials. 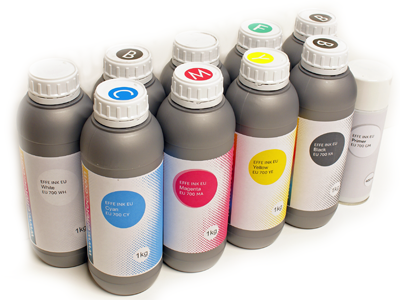 Amazing results with an UV inkjet printer whatever the media or application.